There is no secret about who the first and second overall picks of the 2015 Draft will be. Connor McDavid, a true franchise talent, will go first overall. Jack Eichel, a legitimate first overall selection in most years, will go second. If the Oilers end up with the third overall pick – a distinct possibility – what could the team do? Lawson Crouse. McKenzie: “[H]e moves extremely well for a big man, protects the puck like a seasoned professional, is a first-rate penalty killer and offers a physical dimension that every NHL team wants and needs.” Crouse has 27 goals and 45 points in 51 OHL games this season, and has recorded 15 goals and 29 points in 27 games since January 1. Listed at 6’3”, 212 pounds. Noah Hanifin. McKenzie: “Only one of 10 scouts surveyed didn’t have the mobile, puck-moving defenceman at No. 3, dropping him to No. 4. The consensus, though, is quite clear that next to McDavid and Eichel, he’s the premier prospect available.” Hanifin has four goals and 21 points in 33 games at Boston College this season and has recorded two goals and 14 points in 16 games since January 1. Listed at 6’3”, 205 pounds. Mitch Marner. McKenzie: “Marner has plenty of “wow factor” – a dynamic and creative offensive wizard who makes everyone on the ice better and has the ability to finish plays himself. But at 160 pounds and still under 6 feet, some wonder how well those skills will translate to the pro game.”Marner has 44 goals 123 points in 59 OHL games this season, and has recorded 14 goals and 50 points in 23 games since January 1. Listed at 5’11”, 164 pounds. Dylan Strome. McKenzie: “Strome is the big centre every NHL team looks for. His vision, playmaking ability and productivity (30 goals and 85 points in 45 games) are elite. But some scouts caution there’s no dynamic quality to his game (no “wow factor,” as one scout put it) and that he doesn’t possess the extra gear or pace that separates McDavid and Eichel from the rest of the field.” Strome has 39 goals and 116 points in 62 OHL games this season, and has recorded 15 goals and 49 points in 26 games since January 1. Listed at 6’3”, 187 pounds. Each of those candidates is a pretty special player. Two stand out as probable Oilers – the consensus defenceman and the big centre with solid point totals and NHL bloodlines – but the big power forward who is a little shy offensively and the tiny dynamo with the ridiculous offence are intriguing, too. Alternatively, the Oilers could move the pick. Teams don’t intentionally trade top-three picks as a rule. The Panthers moved from first overall to third overall in both 2002 and 2003 but in those years the gap between first and third was a lot smaller. It’s a cinch that the Oilers aren’t going to be able to move the third overall pick+ for Connor McDavid. Prior to that, the New York Islanders moved a second overall selection in 2001 (Jason Spezza), forward Bill Muckalt and defenceman Zdeno Chara to the Ottawa Senators in exchange for pivot Alexei Yashin, who had finished 11th in NHL scoring the previous season. This was a signature Mike Milbury move, and we all know how it turned out. Vancouver traded defenceman Bryan McCabe (24 years old, averaged 24:13 per night the year before) and a first round pick in 2000 to Chicago for the fourth overall selection in 1999. Putting that deal in today’s terms, it might be something like moving the third overall pick to Winnipeg in exchange for Tyler Myers and the Jets’ 2016 first-round selection. The New York Rangers traded Dan Cloutier (23 years old, 0.914 save percentage over 22 games the year before), Niklas Sundstrom (24 years old, 43 points in 81 games the year before), and first- and third-round picks in 2000 to Tampa Bay for the fourth overall selection in 1999. Putting that deal in today’s terms, it’s a little like trading the third overall choice to Detroit for Petr Mrazek, Riley Sheahan and the Red Wings’ first- and third-round choices in 2016. Now, there’s no guarantee that a modern team would be willing to pay the prices that Chicago and New York did 16 years ago. We haven’t seen that kind of trade very often in recent years. However, it is a good bet that the Oilers could cash the pick in for a useful young player or even two at the draft, upgrading the roster immediately but sacrificing the upside that comes with their choice of the quartet above. If the Oilers end up with the third overall pick and get an offer that really impresses them, maybe that changes. But it seems clear that the likeliest outcome here if the Oilers finish with the third overall pick is that either Hanifin or Strome joins the organization. Does the answer to the Oilers’ goalie woes lie in Toronto? NOT Marner! So that’s likely who they’ll pick. And then they’ll grab Tkachev in the 2nd round. if the Oilers pick #3, they’ll pick Hanifin. i have even heard that, like Ekblad and Seth Jones before him, he may actually be NHL ready right now and God knows the Oilers need this guy! This is the Oilers we’re talking about! They’ll take Tkachev with the Pittsburgh pick. The Oilers need both D and C; so it comes down to BPA which by all accounts is Hanifin and that’s who I’d pick. The real debate seems to be Strome-Marner-Crouse and they all have question marks. Another reason I’d go with Hanifin. I’m not convinced there isn’t a deal to be made with Arz for OEL. Our only hope for success this year is if the Oil have some new faces at the draft table that do not include Lowe, Howson and MacT. 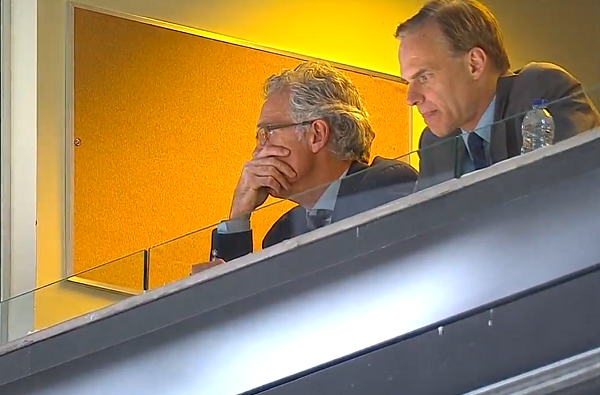 There are only 2 drafts (2013 and 2014) since MacT became the Oilers GM. Is it too early to conclude that MacT has failed in the two drafts? As far as the 2013 draft goes, I think MacT did pretty good. I think half of these guys will pon out atleast. pretty good. So Arizona is going to start their rebuild by trading someone who is CLEARLY their best player…a 23 year old defenceman…entering the prime of his career…signed to a pretty decent, long term contract? And they are going to do this because there is an American defence prospect in the 2015 draft…who MIGHT be as good as OEL is now…in about five years? 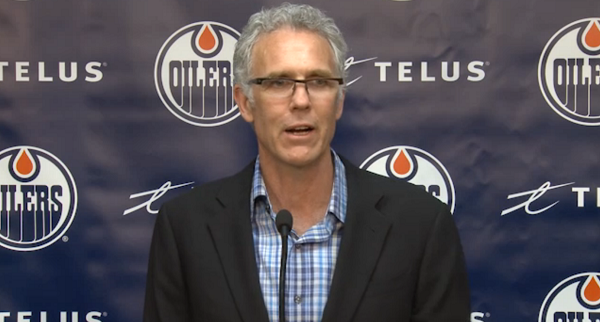 News Flash: Craig MacTavish and Kevin Lowe are not running the Arizona Coyotes. In short, the answer is a definite maybe. Arz certainly doesn’t have to trade OEL. And if it was only about hockey they probably wouldn’t. It isn’t only about hockey though is it? Money is a factor and in addition to being Arz best player OEL is also their most expensive player. In Arz that matters. When asked about moving OEL this year Maloney didn’t give a definitive no. So it’s simply a matter of price. Arz likely isn’t going to trade OEL for Hanifin/#3 straight up. It would be the pick plus. What the plus is would obviously determine if it’s worth it for either team. And keep in mind part of Arz’s evaluation could be next years’ draft. Right now Auston Matthews is the #1 ranked prospect and he is from Scottsdale, Arizona. If Arz lands Eichel, picks up Hanifin + Marincin + Pit 2015 1st for a better shot at another top 3 pick next year the case to trade OEL becomes more compelling. If we draft third you take Hanifin and develop him, that way in 3 years him nurse and klefbom will be our version of pietrelangelo, shattenkirk, and bouwmeester. You can never have enough good defensemen in the pipeline. As for this summers shopping list, if people think nuge-Roy-lander-Gordon is good enough centre depth you’re smoking something. Roy is a 3C at best. Let Roy and lander fight it out for 3C, loser move to 3rd line wing. We need to sign a 2C, and two actual top 4 defensemen and a goalie this off season if we want a fighting chance. So in other words were screwed cause MacT won’t be able to address any of the issues. If we can draft mcdavid or eichel our forward core is officially mint in my opinion, then we just need to focus on D and goalie. If we don’t draft one of the two wonder kids we still have to fix everything. Corey Pronman did a mock draft on ESPN and he mentioned that if the oilers are picking #3 they are really considering taking Marner. If this is true then I’m guessing the Oilers think there is enough quality centres and Ds to be had with their other picks. And Marners offence is too good to pass up. Whether they take Hanifin or Strome, I think it’s a good pick. It’s the other options that scare me. But if thay take a forward, they better take a D with that second 1st round pick. Nicolas Meloche (righty) is somebody they should be interested in. there are some good d-men to be had throughout the first 2 rounds, but the Oilers need to continue to concentrate on size as well as the talent in order to try to compete with the larger Western conference teams. one of Eichel or Strome, d-men like Hanifin and Meloche are good starts! I dream of the day we start talking about the draft AFTER the season ends. I think that 3rd overall pick is currently the most likely scenario for the Oilers, especially considering the deft maneuvers Buffalo employed last night to avoid two free points. I’d still like to see what they could bring in in trade for that pick. We all know that Craigers is going to draft an undersized winger. Build around the core that you have now, Hall, Ebs, RNH, Yak, Drei, Nurse, Klef. Get help for these guy now. Get a solid no2 center and a solid #2 defenseman. This will take pressure of RNH and Nurse and Klef and in a few years the Oilers will compete. I can find little to fault MacT on his first two drafts so hopefully they are successful this upcoming draft. Hanifin would be a great addition according to scouting reports, but we have heard about him for so long that sometimes they are over scouted and their rankings can suffer unfairly. The Oilers need elite defence prospects they shouldn’t pass on this kid. If not mceichle then I hope they take Strome and be done with needing to draft centres for a while. They can send him back to junior, and take their time developing the kid ala the detroit model. Sure they still need defence and goal, but it would be reassuring to have good prospect centre depth. I hope they don’t take the big winger, and instead invest into developing Shepylshev, Chase, and Moroz. Falling to 3 would be a disaster. Having to select a player a couple years away from helping this team means the Oil will be a lottery team for yet 2 more years. Total waste of a season if the move backwards from where they are in this draft. The fall from 2 to 3 is a huge step backwards talent wise. Probably the same difference between McDavid and Eichel. Everybody knows who’s going number 1. It’s a landslide in that non battle.